Salads... in their most basic form... require little in the way of a recipe. They can be as simple as a few amazing leaves of fresh, just-picked lettuce that are left completely undressed and set alongside an entrée, to a more involved medley of veggies, grains, nuts... and more... tossed with a variety of greens and a homemade vinaigrette to create a meal that's satisfying enough to be plated on its very own for dinner. I suppose this thinking of what requires a recipe and what might not is the reason my salad file here is a bit sparse. We eat a lot of salads, however... and sometimes convert other things into salads so that we can turn to them frequently, with little guilt and lots of satisfaction... like this Tostada Salad Salad. What began as a pretty decadent tostada salad -- with deep-fried corn tortillas piled high with chicken and beans, lettuce and cheese, salsa, onions, avocado, and sour cream -- became a healthier form of its former self... and a bit more honest in its claim as a salad. 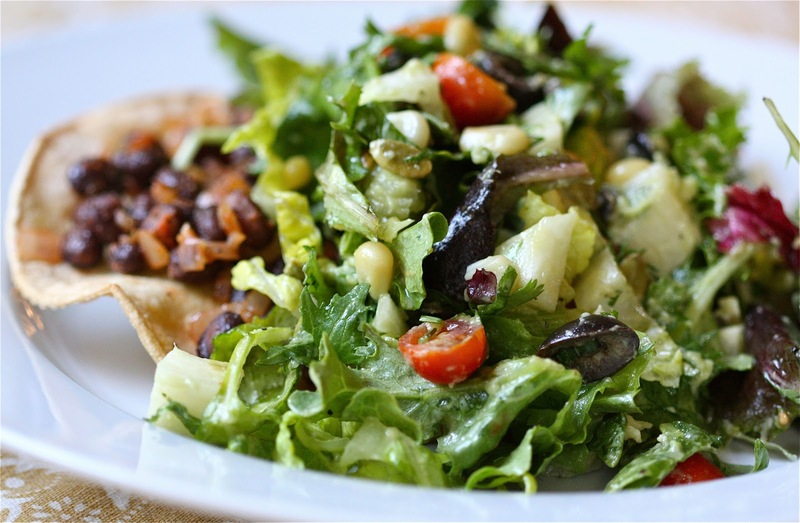 In this Tostada Salad Salad, white corn tortillas are very lightly brushed with some extra virgin olive oil and baked in the oven. The meat has been replaced with black beans, sautéed with onion and garlic and punched up with one of our favorite salsas. 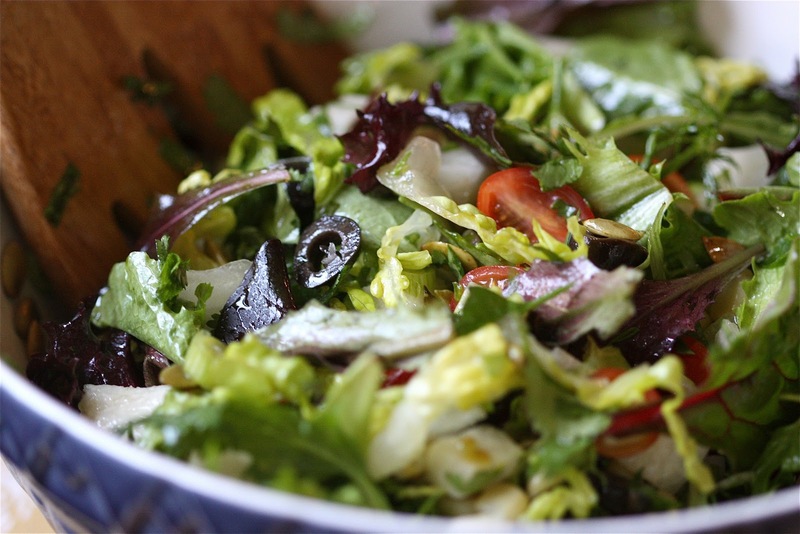 with the greens and lightly drizzled with some extra virgin olive oil and freshly squeezed lime juice. The following is a guide of ingredients. Given the amounts noted, we usually devour all the salad fixings and have just a little bit of the beans left over to enjoy another time. Preheat oven to 400 degrees. 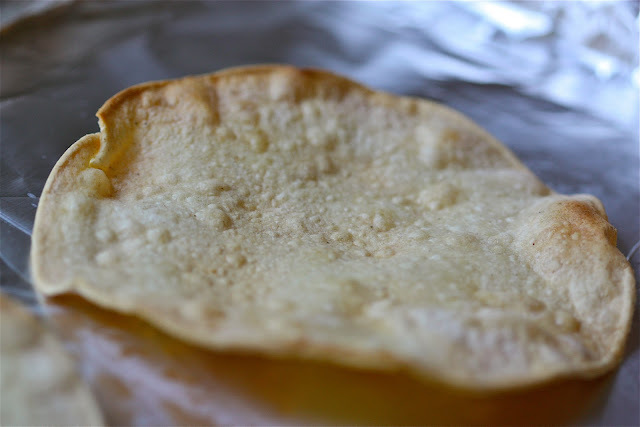 Place 1/2 teaspoon of olive oil in a bowl and, using a pastry brush, lightly brush both sides of each tortilla. Place tortillas on a foil-lined baking sheet and bake in the oven for 4 to 5 minutes. Turn tortillas over and continue baking for another 4 minutes. Remove from oven and set aside. Place 3 tablespoons olive in a heavy skillet over medium heat. Sauté onions until just translucent, about 3 to 5 minutes. Add garlic and continue to cook for another minute. 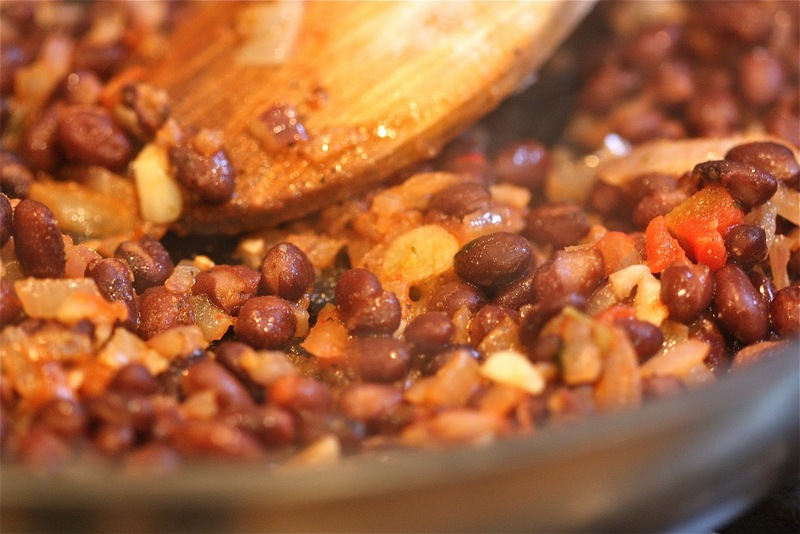 Add in black beans and salsa and heat through. Season with salt and pepper, to taste. Remove from heat, cover and set aside. 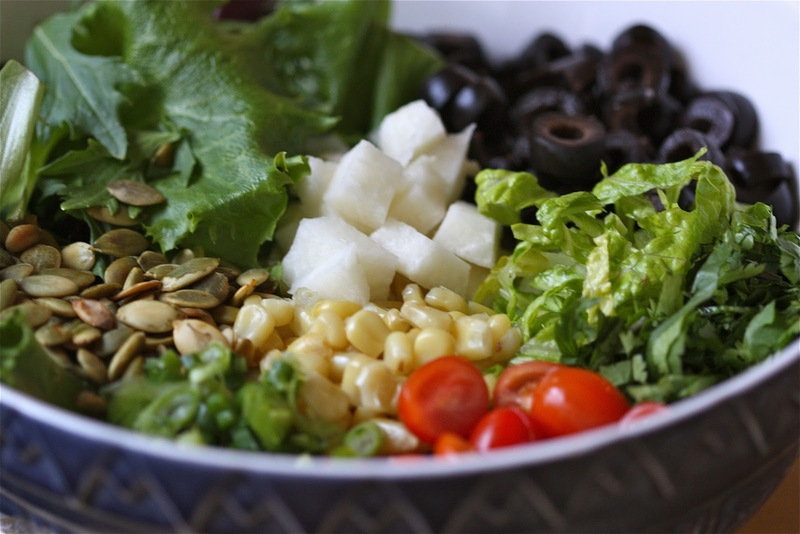 Toss greens with jicama, cilantro, tomatoes, olives, corn, pepitas and green onions. 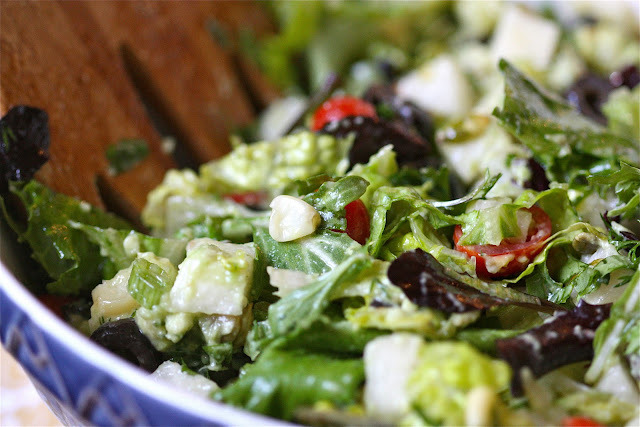 Dress salad with olive oil and lime juice, to taste. 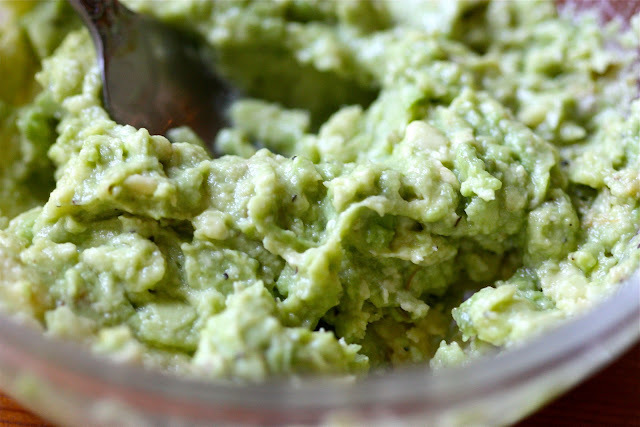 In a small bowl, mash avocado with the back of a fork, drizzle with a little lime juice, salt and pepper, to taste. Add avocado mash to dressed greens and toss to thoroughly combine. Season with additional salt and pepper, to taste. Spread approximately 1/4 cup of bean mixture on each tortilla. Place tortillas on plates and pile generously with salad. Serve immediately.